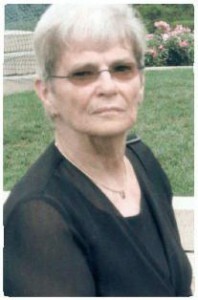 Kay Keller, 70, of Meadowlark Road in Fredonia died July 23, 2007 at her residence after a 5 year battle with cancer. She was born April 1, 1937 to Peter A. and Beulah O. Behnke Vanderhoof in Plymouth, Wisconsin and grew up in Brillion, Wisconsin. She married Howard H. Keller of Green Bay, Wisconsin November 6, 1954 in Chilton, Wisconsin. They moved to Sheboygan and later moved to Port Washington. She waitressed at the Riverdale in Sheboygan, the former Chalet on the Lake in Mequon and the former Smith Bros. Restaurant in Port Washington. In they 1950’s the moved to Port Washington. Kay ran the Heritage Publishing Company in Port Washington with her husband for over 30 years. Today their son Kim operates the family business. She was co-owner of K & H Storage in Port Washington. She was very active with her husband in the Port Washington Lions Club, writing and compiling the monthly newsletter. Her husband preceded her in death November 5, 2004. Kay was a very proud member of the Chapeau Rouge of the Great Lakes Red Hat Society in Port Washington. She loved to travel with her husband and family. They traveled on the motorcycles and abroad in Japan and Germany. She was fun, social and a hard worker. She is survived by her children Kim (Diane) Keller of Belgium and Krys (Paul Schmidt) Keller of Fredonia. Further survived by grandchildren James, Shannon, Natalia, Christie and Michael, great grandchildren Ashlee and Jacob, brother Merrill (Dolores) Vanderhoof of Brillion, step sister Mary (Dean) Duerst of Overland Park, Kansas, her canine buddy, Buddha, other relatives and many friends. She was preceded in death by her husband Howard, daughters Sheri Lee and Kitty Ann and son Steve. Fr. Patrick Wendt of St. Peter of Alcantara Catholic Church will officiate funeral services 7 pm Wednesday, July 25, 2007 at the funeral home. Interment will take place at St. Mary�s Cemetery, Port Washington. Visitation from 4 – 7 pm Wednesday at the funeral home. Memorials to the Susan G. Komen Breast Cancer Foundation appreciated.